Succeeding at relationships is about being proactive, balancing your life, and building connections. It’s also about successfully weathering the rough patches. There is no rougher patch than a breakup. It could take the wind from your sails, especially after a long relationship and especially if it wasn’t you who threw in the towel. Surviving breakups can seem tough. They can be traumatic, and you can often find your mind slipping to the good times. They can haunt you for a while. In place of what was a steady constant in your life that gave you joy despite the difficulties, there grows a web of resentments, what-ifs, and regrets. To get out of the post-breakup blues and into the next chapter of your life, you have to navigate this web. Clean breakups happen, but not often. If you were living together, or if it was a particularly bad or ill-tempered breakup, you could find yourself combatting not only your feelings but an ex with an axe to grind and a list of things you need to do before moving out. I’ve put together this bite-size breakup survival guide for guys who are wondering how to survive a bad breakup. It’s imperative to think before you act as she’s potentially going to create difficulties for a while. Perhaps you’re in the same location, scene, or circle of friends. What do guys think after a breakup? Guys normally think they were the one in the right. Strangely enough, your ex will be thinking the same thing. If you’re going to learn from, and get over, the fallout of the relationship genuinely, you’re going to have to be truthful about the part both of you had to play in its downfall. Even if she did something terrible, like cheating on you, there are things to take away from what happened. The people you date are a reflection of you, and a consequence of your choices. Make a full, frank appraisal of what happened. Write it down if that helps. She could have been toxic and not showed her true colours until further down the line. However, it’s more likely that you were provoking her, unsatisfied or failing to satisfy her, bored or boring, or ignoring her needs in a multitude of ways. When two people live together or spend a lot of time together, their less attractive sides will find a way to surface. It’s part of being human. Once you accept that she may not have singlehandedly bulldozed through the foundation of the relationship, you’ll find it easier to hold back on the resentful feelings. While you may miss the more tender moments, it’s likely that things had been slipping away from you both for a while, and it’s often healthier for the duel to draw to a close. This mindset will not only help you to handle matters tactfully, but it will help you take a better shot with the next woman you like. A trainer I work with, Maverick, says on my How to Get Laid in Ibiza podcast that “After divorce, there is only the excitement of what’s next.” The same applies to a breakup. The grass is greener on the other side, so long as you learn the skills to talk to women confidently. You might want to take out on her verbally the worst parts of what you’re feeling, but in truth, it’s only going to hurt you. If she’s local, she’s around to talk rubbish about you to anyone who will listen, including people you know. If she’s not, social media exists. So behave yourself, or you won’t escape her. She may be spitting bile. She may well be trying to provoke you into doing the same. You need to close your eyes, count to ten, and swallow your pride. Rise above it. Be polite and sweet, and apologise for your hand in how things turned out. Even if she doesn’t. Taking the high road is difficult to do after a breakup without seeming like you’re making a point of it, but you have to be the good guy in spite of any bad blood. If you lived together, maybe lend a hand moving out or make your new living arrangements quickly and efficiently. Get help from a friend, if you must. After you’ve dealt with the debris, cut contact. Block any window she may have into your life and any you may have into hers. Delete and block her from social media, get rid of her phone number, and avoid mutual friends. Every time you find yourself looking at their Facebook, you’re going back in time. That cycle is not giving you anything. You’re just indulging your brain’s irrational responses to the situation. Guys after a breakup seem to entertain the notion that they can remain friends with an ex. You will not be friends. At least not soon. You often only want to stay friends to hang on to some of the familiarity and comfort that comes from a long-term relationship. The only way to truly survive a breakup is to make a clean break. Anything else is unfair on both of you. Try out a friendship later if you’re both mature enough, and it’s not going to cause any problems with your new life. The reason you want a clean break is to use the extra space in your life for self-betterment. Hit a gym, learn an instrument, travel somewhere you always wanted to go alone, or arrange a trip away with your friends. Take a course in something, or put extra focus into your job. Not only will this distract you from the breakup, you will also already be rebuilding yourself. Springboard into the next chapter of becoming the best version of you, and don’t take heed of the obstacles she leaves in the way. You can associate this time in your life with fun, major achievements, and building a positive routine. There’s no particular secret as to how to survive a breakup. You just have to start looking at all the other amazing women there are. The best way of navigating a breakup is mastering talking to women. It’s a slow process and involves a heap of research and even more trial and error. But if you learn to enjoy it and trust the process, you will meet someone that excites you. 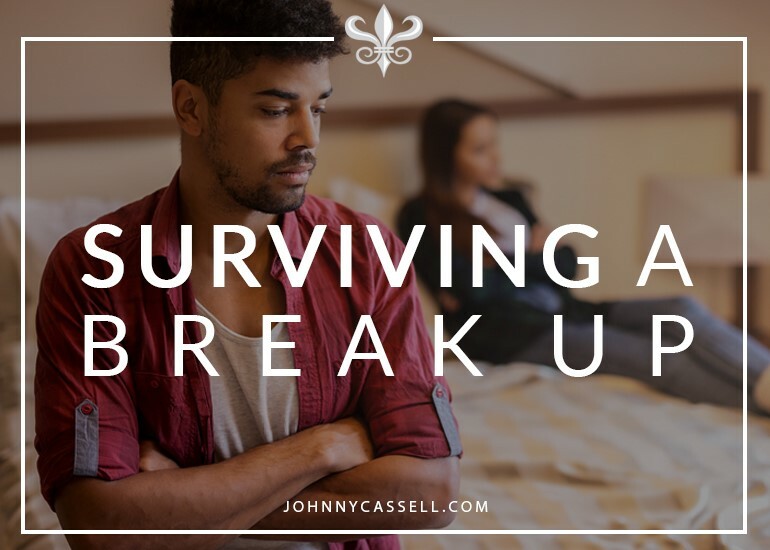 If you’re looking at surviving a breakup, you could do worse than going over and talking to as many women as possible. Enjoy being single. You may well have forgotten what it’s like. They may even have invented Tinder since you were last on the market. Get back out there with the right skills, and you’ll barely remember your ex’s name. Not only that, you’ll have all the hard lessons from the failed relationship that you learned the best way – through experience. 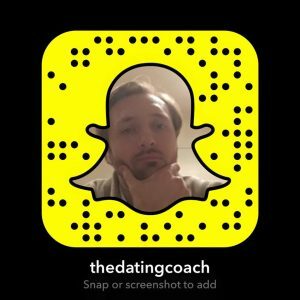 If you’re looking to get back out there on the strong foot, let me guide you back into single life. Check out my Impactful Connection Workshops and 7-Day Courses at www.johnnycassell.com/pua-training.